Chalk up another accomplishment for our new county overlords. The U.S. Department of Justice will monitor Harris County elections, at county expense, for up to four years under the settlement of a federal lawsuit over inadequate access to polling places for voters with disabilities. Commissioners Court approved the 15-page settlement during at its regularly scheduled meeting Tuesday. The item originally was designated for a closed-door executive session, but court members simply agreed to First Assistant County Attorney Robert Soard’s recommendation they sign off on the deal. Under the agreement, Harris County will have to make minor accessibility improvements to as many as 300 of its 750 regular voting sites, hire two outside election experts to supervise balloting and designate an in-house Americans with Disabilities Act compliance officer. The county does not have to concede it has violated the ADA in past elections. Toby Cole, a quadriplegic attorney who almost exclusively represents wheelchair users, said the settlement and extended federal supervision are essential because disabled voters often are reluctant to complain about problems they encounter. County Judge Lina Hidalgo said after the meeting she is confident the county will be able to show the federal government much sooner than four years it is capable of running an election in which each polling place meets ADA guidelines. Monica Flores-Richart, whom County Clerk Diane Trautman hired in January as the county’s ADA compliance officer, said the office will re-examine each polling place. In most cases, she said problems can be identified and addressed quickly. The settlement requires the county to submit a new ADA compliance plan to the Justice Department within 120 days. The county also must hire at least 20 contractors, or use county employees, to monitor each countywide election. See here, here, and here for the background. I’ve expressed a modicum of sympathy for the County Clerk in the past regarding this litigation, which was filed in August of 2016 following a letter of finding in 2014, but if this is all it took to settle the case, I have to wonder why it took so long. Well, okay, I know the answer to that, and it has to do with whose picture you see when you load up the harrisvotes.com website. But seriously, this should have been wrapped up long before now. Be that as it may, kudos to all for getting it done. I share Judge Hidalgo’s confidence that Harris County can complete the terms of the settlement in less than the time allotted. The Trib has more. Today, Texas Secretary of State David Whitley approved Harris County as one of six Texas counties with a population of more than 100,000 to participate in the Countywide Polling Place Program. With over 2 million registered voters, this makes Harris County the largest county in the country to implement this program. The state program allows eligible counties to establish non-precinct based Election Day Voting Centers. “The voters of Harris County have made it clear that a Countywide Polling Place Program would have a positive impact on elections and I am confident that the transition to a Countywide Polling Place Program will be successful”, announced Harris County Clerk Dr. Diane Trautman. Voters will now be able to vote anywhere in Harris County on Election Day, beginning with the May 4, 2019 Joint Election. All elections, including general, special, joint, primaries, and runoffs will be recommended to use the Countywide Polling Place Program. “The Countywide Polling Place Program will allow more Houstonians to exercise their most precious right, the right to vote”, stated Dr. Trautman. Voters can find more information on the Countywide Polling Place Program by visiting www.HarrisVotes.com or by calling the Harris County Clerk’s office at 713.755.6965. See here and here for the background. The Vote Centers section of the County Clerk page is here, and the plan outline is here. Not that there’s ever a reason to listen to Paul Simpson, but every one of his objections has been contradicted. The vote to apply for state approval was unanimous in Commissioners Court as well, so at every step of the way this has been a bipartisan process. Plus, you know, this is something Trautman explicitly campaigned on, and she won. As they say, elections have consequences. The other big story from Tuesday’s Commissioners Court meeting. 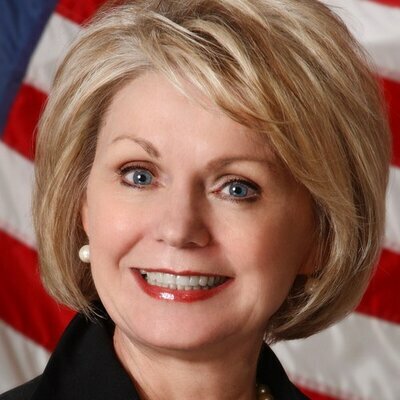 Harris County Clerk Diane Trautman’s plan to shift to countywide voting centers inched forward this week when Commissioners Court unanimously agreed to file an application with the secretary of state asking permission. Trautman hopes to incrementally open voting centers, where any county resident can cast a ballot on Election Day. Harris County currently uses voting centers for early balloting, but residents are required to use their assigned precinct locations on Election Day. Michael Winn, who helped launch voting centers in Travis County before joining Trautman’s staff in January, said the change boosted turnout by 10 to 12 percent there. The centers offer voters more flexibility to cast ballots near their school or place of employment, which may be far from their assigned polling place. The secretary of state must sign off on Harris County’s proposal before Trautman may proceed. She plans to open several Election Day voting centers in a low turnout election, such as a May school board balloting, before moving to a large-scale deployment for a general election. See here for the background. There have been several public meetings to get feedback about this proposal. More planning will need to be done to determine the number and location of voting centers. I presume that will vary by turnout level, as has been the case with all-precinct locations, so accurately projecting turnout will be key. I have no idea how long this process takes, but we’ll be seeing these things sooner rather than later, at least for some elections. 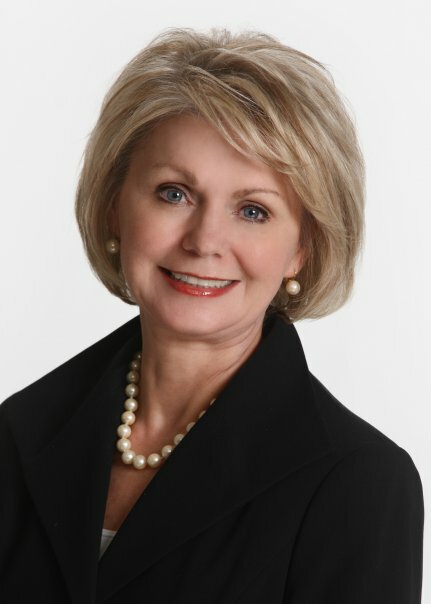 New Harris County Clerk Diane Trautman on Tuesday [proposed] to Commissioners Court a non-precinct based countywide polling system, where voters can cast ballots at the locations most convenient to them. Fifty-two Texas counties, including neighboring Fort Bend and Brazoria, have used voting centers. In last November’s mid-term election, Harris County residents could vote at any of 46 county locations during the two-week early voting period. They had to cast ballots at their assigned precincts on Election Day, when the county operates more than 700 polling sites. It is unclear how many voting centers would be needed, which could vary depending on what is on the ballot and projected turnout. Trautman said she would begin by using the county’s 46 early voting locations as Election Day voting centers, in addition to its precinct polling sites. Her office, she said, would use the resulting turnout data to make future decisions about the number of centers needed. During her campaign, Trautman pitched voting centers as a way to increase turnout by 2 to 5 percent. She said voters are more likely to participate when they can cast ballots on Election Day near their work or school, which may be outside their precincts. The idea first came up in Harris County back in 2015. Fort Bend adopted them that same year, as did Galveston, while Travis has used them since 2011. The new clerk said she has studied Travis County’s voting centers model, which debuted in 2011, and hired away Michael Winn, that county’s elections director. Winn said voters needed several cycles to get used to the new system, which he said eventually boosted turnout 10 to 12 percent. “Voters really enjoyed the fact that during lunchtime or after work, in that crunch time before polls close … vote centers make it so they can go without worry to a place within their proximity,” Winn said. Through studying turnout patterns and consulting with neighborhood leaders, Winn said Travis County was able to close about 20 percent of its traditional polling places without hampering turnout. Trautman said she is open to consolidating Harris County polling sites, but only after consulting with communities. She acknowledged the role polling places play in the civic fabric of neighborhoods — especially where residents once had been denied suffrage — and said she would leave open sites that hold such significance. The Harris County Democratic Party endorsed the proposal, and a spokeswoman said County Judge Lina Hidalgo supports the idea. A spokesman for the county Republican Party did not respond to a request for comment. We may get a pilot as early as this May – as Trautman notes, it makes far more sense to test this out in a lower-turnout election, rather than debut it during a Presidential race. Commissioners Court has approved the idea. so we can move ahead with it. I look forward to the discussion and planning process, and especially to the final product. Jay Aiyer pens an agenda for Harris County and its Democratic government. First and foremost, flood mitigation has to be at the top of any list. Harris County has taken good initial steps to improve flood control infrastructure, and the passage of flood control bonds was badly needed. Those steps however, are only the beginning of what needs to be done. Development changes that prohibit growth and expansion in the floodplain, and ideas from experts like Rice University’s Raj Makand to impose a moratorium on new municipal utility districts until the region has a comprehensive plan for flood mitigation should be considered. Infrastructure development in Harris County — everything from toll road expansion to affordable housing construction should be factored into flood control efforts. Flood mitigation needs to be the county’s top priority. The need for ethics and transparency is also required at the Commissioner’s Court itself. Unlike Houston City Council or the Texas Legislature, Harris County government remains largely shrouded in secrecy. The lack of broad transparency and pro-forma meetings results in a policy process that is largely kept behind closed doors. Commissioners have wide latitude in how business is conducted within their precinct, but that should be governed by a strong ethics policy that requires lobbyists to register and places limits on campaign contributions. A strong government requires one grounded in ethics and transparency. Access to the ballot box and the integrity of voting process remains a major concern to all voters. Harris County needs a transparent and error-free voter registration process that works to actively register voters. Texas is eliminating straight ticket voting in 2020 and Harris County needs to start preparing for the longer lines and logistical strains that surround the longest electoral ballot in the country. This means expanding the number early voting locations throughout the county, as well as extending the hours of operation. Harris County also needs to follow other Texas counties and create election day voting centers that allow voters to cast a vote at location throughout the county — not just at a precinct. Part of the improving voting means replacing the outdated machines. 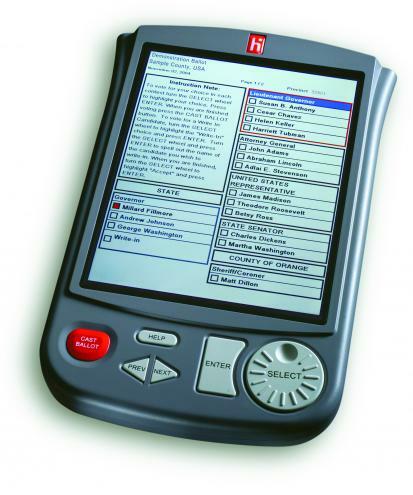 The current click-wheel electronic voting system is outdated and slow in handling our long ballot. Harris County needs to invest in modern, verifiable voting machines that can provide confidence in the electoral process while allowing voters to exercise their vote quickly and efficiently. County government has historically worked to make voting more difficult and cumbersome, and these reforms would be a good first step in reversing that. Finally, Harris County should also revisit initiatives around the expansion of early childcare. In 2013, the well-meaning pre-K training initiative “Early to Rise,” which called for a ballot initiative to expand pre-K training programs, was strongly opposed by outgoing County Judge Ed Emmett and the Republican majority of Commissioner’s Court. While that initial plan was limited in scope, the idea of a regional approach to expanding early child care is one that needs to be explored. Research indicates that investing in early education initiatives are the best way to mitigate the effects of poverty and improve long term educational outcomes. 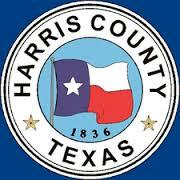 A countywide program may be the smartest long term investment that Harris County could make. I endorse all of Jay’s idea, which he proposes as a first-100-days plan, and I’d add a few things of my own, none of which need to be done immediately. One is for Harris County to be a more active partner with Metro, and to be fully engaged in the forthcoming transit plan and referendum. There are a lot of ways the county can contribute to better transit, and with everything Metro has going on now, this is the time. Two, continue the work Ed Emmett started in consolidating services with Houston and other cities, and make non-MUD governance a part of that development reform Aiyer outlines. Three, figure out what the office of the Treasurer can and should be doing. Incoming Treasurer Dylan Osborne has his own ideas, of course, but my point is that back in the 90s Commissioners Court basically neutered the office during Don Sumners’ term. Maybe now the time has come to restore some actual power to that office. Other counties have Treasurers, perhaps we should look to them to see if there’s a good model to follow. I’m sure there are plenty of other ideas. (The parts that I cut out for this excerpt talked about criminal justice and bail reform, some of which have been going on.) Reviving the pre-K proposal is especially something we should all get behind. The point is, there is much that can be done, and no reason to feel restrained by “we’ve always done it that way” thinking. If it’s a good idea, let’s talk about it and figure out if we can make it work. It’s a new era in Harris County. As is usually the case, finding the funding will be the key. The newly elected Harris County clerk plans to phase out the county’s eSlate voting machines, which have occasionally caused problems for voters. Diane Trautman, who beat the incumbent in the countywide sweep of Democrats, also wants to improve the county’s elections technology so voters can cast ballots in any precinct on Election Day. Currently, residents are allowed to vote at any polling place during early voting, but must use a designated location on Election Day. Stanart said he also had planned to phase out the eSlate voting machines if re-elected. On average, the devices are eight years old. Most were purchased after a 2010 fire destroyed the warehouse where Harris County stored its voting machines. Stanart’s spokesman, Hector de Leon, said the clerk’s office estimates that replacing the county’s 8,189 eSlate machines would cost about $75 million. Trautman said she would explore whether the state or federal government could cover part of the cost. Meanwhile, Commissioners Court would need to approve the purchase of new machines, and members are supportive of the idea. Incoming Harris County Judge Lina Hidalgo said improving the voting experience for residents must be a priority. Precinct 4 Commissioner Jack Cagle urged Trautman to prepare a detailed proposal for replacing the eSlate machines and present it to the court. He said new machines must be a technological upgrade and have a long-term life span. I’m glad to hear that there is support for moving forward on this. We should write up our standards, talk to Travis County about their systems, revisit that cost estimate, and begin meeting with legislators and members of Congress to see what funding they may be able to provide. It also looks like we can begin work on moving towards a vote center system for Election Day, which ought to help alleviate some of the problems we have seen when precinct voting locations have had technical problems. I can’t wait to see how this goes. I have three things to say about this. Two Houston congressmen are asking the U.S. Department of Justice to investigate whether unequal distribution of voting machines and polling locations in Harris County disenfranchised minority voters during the March 1 primary election. “The failure to distribute sufficient voting machines in predominantly Hispanic and African-American precincts in Harris County, in comparison to the resources made available in more affluent, predominantly Anglo precincts in the county, had a discriminatory impact on our constituents’ ability to participate in the political process,” the congressmen wrote. The increased turnout — fueled by a heated Republican presidential race — left election officials scrambling to deliver additional voting machines to polling locations with long lines on election day. Still, some voters in Houston did not cast their votes until after 9:30 p.m. — hours after polls closed. Others reportedly abandoned their place in line without voting after waiting for hours. The distribution of polling locations in primary elections is a responsibility of each county’s political party, according to the Texas Secretary of State’s Office, which oversees elections and voting. Using a formula based on previous voter turnout, county parties are charged with estimating voter turnout and determining the number of voting machines and polling locations needed. County and party officials estimated that about 144,000 voters would cast a Democratic primary ballot. But more than 227,000 Democratic voters made it to the polls for the primary election. On the Republican side, officials estimated 265,000 voters would turn out but almost 330,000 voters actually cast a ballot. Lane Lewis, chairman of the Harris County Democratic Party, pushed back on allegations of unequal distribution of polling locations, saying there was nothing “nefarious” behind the wait times. The long lines were a result of higher than expected turnout, he added, and there was little indication from early voting figures that voter turnout would be so high. 1. The formula is based in part on “the percentage of voter turnout for the office that received the most votes in the most recent comparable party primary election”, which in this case would be 2012. I don’t think the initial estimates were terrible at the time they were made, which as I understand it was late last year; in fact, I think they were quite defensible. The problem was that there was no way to adjust those estimates based on the on-the-ground and at-the-time conditions. And even taking that into consideration, the general consensus in the days between the end of early voting and Tuesday, March 1 was that more than half of the people who were going to vote had already voted. That was the real problem, as a good 57% of the vote was cast on Tuesday. To me, the main learning from this needs to be that the hotter the election, the more likely that people will show up on Election Day. 2. Compounding the problem was the consolidation of Election Day voting locations. Roughly half of Republican voting locations were folded into others, while the same was true for well more than half of Democratic precincts. This was also an effect of the initial underestimation of turnout, but because there are so few voting machines at Election Day polling locations, and because these were primaries where you had to consider each race individually – no “straight party” option – it made the lines longer. One can make a good case that voting centers, as they have in Fort Bend and other places but which are still “under consideration” in Harris County, could have greatly ameliorated this problem, if for no other reason than they will have more voting machines available at each location. 3. All that said, it’s wholly appropriate for the Justice Department to investigate, and make whatever recommendations they can. In the end, however, this is a problem that needs to be addressed locally. Trail Blazers has more. UPDATE: The Chron story is here, and the Press has more, including a copy of the letter that was sent. Perhaps one of these days they will move forward on this. Seeking to making voting easier on Election Day, Harris County officials are considering shifting to a system that would allow voters to cast ballots at any county polling place rather than only at their neighborhood precinct. These so-called “vote centers,” modeled after the countywide polling sites used during early voting, have been implemented by at least 33 Texas counties, including neighboring Fort Bend, since the state Legislature authorized a pilot program in 2005. Four of the five members of Harris County’s Commissioners Court said they support the idea, citing a desire to make voting more convenient. “As a concept, it makes all the sense in the world,” Harris County Judge Ed Emmett said. Yet despite broad interest in vote centers, Emmett and Harris County Clerk Stan Stanart cited technological and logistical impediments to making the change soon in Harris County under current state law, which does not allow for adjustments based on county size. Counties adopting vote centers for the first time are required retain 65 percent of the number of precinct polling places they otherwise would have used for that election. In subsequent elections, they must keep half the precinct polling sites. That means if Harris County had transitioned to countywide polling places for November’s general election, it would have needed to open 492 vote centers in place of 757 precinct polling locations. By contrast, the county of 4.4 million residents offered just 41 early voting sites. “That’s totally illogical. That defeats the whole purpose,” Emmett said. Explaining that he does not think Harris County would be able to participate without a legislative change allowing them to offer fewer voting centers, Emmett proposed opening 100 countywide polling places for the two weeks leading up to and through Election Day. “That would make it easier for people to vote,” Emmett said. See here for previous blogging on this subject. As I’ve said before, I think this is a good idea, and by now we have enough examples, including those of our neighbors in Fort Bend and Galveston, to see how this works. If we need a new law to allow for a more realistic number of vote centers, then let’s crank up the machinery to help make that happen in 2017. While we’re at it, let’s try again for online voter registration, too. Whatever we can do to improve the voting process in Harris County. They seemed to work OK.
Not all the kinks had been worked out in Fort Bend County – the first Election Day here that voters were allowed to cast ballots at any polling place. When results were finally tallied and posted – around 10:40 p.m. – one of the effects became clear: 49,947 ballots had been cast, making for a 13.4 percent voter turnout. It was a sizable increase over the 8.7 percent turnout in the county’s November 2013 election, which also included a bond proposal. “We think it played out well,” Elections Administrator John Oldham said. Fort Bend County was among six Texas counties with populations of more than 100,000 to use the so-called “Countywide Polling Precinct Program” on a trial basis Tuesday, according to the Texas Secretary of State’s office. Four other counties with populations less than 100,000 people also tried the system. Fort Bend officials for years had considered whether to switch to all-county polling, Oldham said. Last summer, they put together how such a plan would be promoted and executed. Elections staff expected to see increases at sites that had been used during early voting but didn’t predict the high demand that materialized at some centers. Officials planned for about 500 voters at a site near Pecan Grove that had seen a few more than 100 voters a few years prior. On Tuesday, 998 people cast ballots there. “We know we had some lines,” Oldham said, explaining that 40 or 50 people were still in line at the Pecan Grove site come 7 p.m. Although the aim of opening up polling places is not necessarily to increase voter turnout – the idea is to remove the hassle and confusion of voting so that residents don’t give up in frustration – higher turnout is a welcome side effect, Oldham said. See here and here for some background. Turnout may have been up over 2013, but I wouldn’t put too much stock in a one-year comparison. As I’ve said before, I generally favor this idea. I don’t know if it will prove to be a turnout-increaser as a rule, but I think it has value even if there is no effect there. If you’re in Fort Bend or some other place that uses these, what is your opinion of them? I’ll be interested to see how this goes in Galveston. Just in time for the November election, Galveston County has launched the first mobile app of its kind in the state, called “Galveston Votes.” It uses GPS to direct people with lightning speed to the closest voting center. Fort Bend County in November will make its first foray into using “voting centers” that are open to all voters county-wide, rather than restricting them to their neighborhood precinct. Montgomery and Harris counties are studying whether to do the same thing. These efforts are part of a growing trend to counter Texas’ low voter turnout – ranked nationally in 2014 third from the bottom. More and more counties across the state are moving toward using these voting centers. They are looking for any way they can to make voting more accessible and entice voters to the polls. The centers, which can be located anywhere from grocery stores to shopping malls, may be used by any eligible voter within a county. Voters will no longer be restricted to one precinct site. The National Conference of State Legislatures says the possible advantages include convenience, financial savings and increase in turnout. Possible drawbacks include a loss of the tradition of neighborhood voting, confusion if the scheme isn’t properly explained to voters and the cost of new equipment and technology. Harris County Clerk Stan Stanart plans to test new infrastructure at a few polling locations during the primary next March that could be used for future voting centers. But Stanart warns that converting a county as large as Harris, with its 4.3 million people and 769 polling stations, would be logistically challenging and costly. Each polling station has to be electronically linked to update in “real time” the names of those who are voting at various stations. “We do that now in early voting with 41 stations, but don’t have the ability to do 769 yet,” he said. About 13 percent of all Texas counties are now using county-wide voting centers and the number keeps rising, said Alicia Pierce, spokesman for the Texas Secretary of State, who said many voters enjoy the convenience it affords. “I live in Travis County, where they have adopted this system, and was able to cast my vote at a Fiesta store while getting groceries,” she said. While the centers have proven convenient, the state is continuing to assess their impact on turnout. See here, here, and here for some background. Fort Bend (as noted in the last link) is implementing voting centers for this election, which will have some effect on the Mayor’s race since there are a few thousand Houston voters in Fort Bend. Voting centers basically replicate the early voting experience on Election Day – there are a smaller number of locations, but you can use any of them – though this story makes it sound like there could be a lot more of them than the traditional early voting places, at locations that aren’t currently used. It would be nice to have a better idea of how many voting centers there are compared to EV locations and traditional polling places. Enough counties in Texas are doing this already, that data ought to be readily available. As for claims that voting centers will help increase turnout, I’m skeptical. There is concern (again, in that last link above) that it could have the opposite effect, partly due to voter confusion, and partly due to vote centers not being as close to or as convenient for voters with mobility issues. I’ve said before that I believe these obstacles can be overcome, with sufficient outreach and care in the selection of vote center sites – perhaps some existing precinct voting locations can be used as vote centers – but the concerns need to be taken seriously. It’s not out of the question that if done poorly, vote centers could increase turnout in affluent areas while depressing it in lower income and minority neighborhoods, which would be completely unacceptable. Vote centers have existed in Texas since 2005, with 23 counties currently employing them and nine more piloting them this fall. We really should have some hard data by now to show the effect of this idea. Again, it would be nice to know more. I support the idea behind voting centers, but I’d like to know that we’ve been doing them right. I continue to like this idea. Voters may get more flexibility on Election Day as Fort Bend become the largest county in the Houston area to consider moving away from precinct polling sites. “A voter could vote at any location on Election Day just like they do in early voting,” said John Oldham, Fort Bend’s election administrator. The proposal to participate in the Texas Countywide Polling Place Program will be weighed at several upcoming meetings. The 2005 Legislature authorized counties to reduce the number of polling locations by up to half and allow voters to cast ballots where they choose. The number of places opting to use “vote centers” more than doubled over the last two years to 26, including Travis and Galvestion counties. Fort Bend and three others have announced their intent to file an application for the program by the August deadline. “Vote centers” first appeared in Colorado in 2003 after a county clerk watched police block voters from entering the courthouse after 7 p.m. Voters had gone to the wrong precinct to cast their ballot but could not make it to the correct location before polls closed. Now, at least nine other states have allowed or tested the system, according to the National Conference of State Legislatures. University of Houston political scientist Brandon Rottinghaus noted that vote centers can save money, streamline ballot oversight and provide convenience for voters. About two-thirds of Fort Bend ballots are cast during early voting, which he said could signal that similar flexibility on Election Day would be well received. The primary reason Oldham said he wanted to switch to vote centers was to reduce the number of provisional ballots cast when a person shows up to the wrong location. That was the case for 26 of 242 provisional ballots in 2014 and 71 of 1,057 in 2012. I have been a supporter of vote centers since I first heard of the idea, largely for the reason given in that last paragraph above. The concern about confusion and possibly lower turnout is legitimate, but as I said in that second post I linked to, it can be dealt with by sufficient outreach, and by placing some vote centers in current precinct locations. Some of that outreach can be to figure out where they need to be. And you may notice that the first post I linked to is from 2009. We’ve had vote centers for several years now, and as you can see from the map in the Chron story, we have a couple dozen counties around the state using them. We don’t need to guess about possible effects on turnout, we should have more than enough data by now to draw conclusions about it. Perhaps one of our oft-quoted political experts can get on that. This will be interesting to observe. Come Nov. 6, Travis County residents can vote at any polling place in the presidential election, county commissioners decided Tuesday. County Clerk Dana DeBeauvoir recommended the switch to the “vote center” system, which allows people to vote at any pollng place in the county on Election Day rather than only at the designated location for a precinct. “Voters don’t have to be so aware of being within a strict boundary line,” DeBeauvoir said. Travis County Republican Party Chairwoman Rosemary Edwards said she doubted the legality of the action, saying that the state law is meant to consolidate polling places. “In this way, there is no savings since there is no consolidation,” Edwards said. DeBeauvoir maintained that the county’s use of vote centers is legal and that keeping neighborhood polling places open is in line with citizen requests. There’s no technical reason why people can’t vote anywhere on Election Day as they do during early voting. In the election contests we have seen over the past decade – I’m specifically thinking of Vo/Heflin in 2004 and Howard/Neil in 2010 – a number of the votes that were challenged by the contestants were cast by people who were in the correct district but the wrong precinct. Those votes were allowed to be counted. I personally think this model makes a lot of sense, especially for lower turnout elections where it could save some money. The main objection would be that voters who are used to their precinct locations might not know where to go or might have greater difficulty getting to a different location. The former can be dealt with by sufficient outreach and education – it is often the case that precinct locations are consolidated on Election Day; at least with voting centers there would be no such surprises – and the latter can be handled by placing some vote centers in traditional precinct locations where it makes sense to do so. There is no technical reason why we cannot allow you to vote wherever it happens to be most convenient for you. We should work towards making that happen. I personally really like the concept of “vote centers”, which is basically Early Voting locations done on Election Day as well. I like them because it means you never have to worry about which polling place you need to go to, which in turn means it’s basically impossible to pull the old-fashioned vote-suppression stunt of directing people to the wrong polling location. So I’m glad to hear that they are considered the wave of the future in Texas. Tarrant County Elections Administrator Steve Raborn said that Tarrant isn’t prepared to adopt the vote center model for a number of reasons but that many public officials see it as “the wave of the future” because it is believed to increase turnout and lower costs. County commissioners would have to approve such a change. Critics of electronic voting machines worry that vote centers could be the last nail in the coffin for paper ballots in Texas. “Anything that pushes more electronics we think is a really bad idea,” said Vickie Karp, national director of the Coalition for Visible Ballots and a leader of Austin-based Vote Rescue. The vote center model began in 2003 in Colorado and has since spread to other states. Though the results aren’t conclusive, turnout for local elections tends to increase in counties that use vote centers, [Kimball Brace, president of Election Data Services, a Washington, D.C., consulting firm that tracks election equipment use nationwide] said. State lawmakers passed a bill this year allowing more counties to try out the model. In August, Collin County commissioners approved a plan to take part in the pilot program. On Nov. 3, 57 vote centers will be operating around the county instead of the usual 129 polling places. In a vote center model, every Election Day polling place must be able to serve every voter in the county. That makes it difficult to offer paper ballots, as every site would need a supply of every possible ballot form. That troubles critics of electronic voting machines, who argue that only hand-counted paper ballots give voters the confidence that their votes are being properly counted. All due respect to Ms. Karp, but I consider getting rid of pen-and-paper ballots to be a feature, not a bug. I certainly agree that there are a host of issues with electronic voting machines that have not been adequately addressed, and that a lot of people are in denial about, and will continue to be until a real disaster strikes. But paper ballots have their own security concerns, and are much more likely to be simply misread or discounted because the voter’s intent is (supposedly) not clear. Further, the ease, speed, and convenience that she seems to dismiss is the sort of thing that enables people to vote in a timely manner, rather than leave in disgust after waiting in line forever. Being able to handle a larger-than-expected volume is a plus for voting centers. During the 2008 Democratic primary, which is the best example of that situation we may ever have, people had the option of seeking out an early voting location that wasn’t as busy as some of the others; I cast my vote at the Power Center at South Main and S Post Oak and was in and out in ten minutes. That kind of flexibility is a real virtue and shouldn’t be diminished. By the same token, I don’t want to diminish the value of a paper trail. I continue to believe that requiring a paper printout of every ballot cast on an electronic voting machine is a crucial component of ballot box security, and would serve as a failsafe in the event that an EVM’s memory stick got lost or damaged. It’s just that I believe in paper receipts to electronically-cast ballots, which can and should be used on all of our EVMs, whether at a vote center or a traditional Election Day polling place. I don’t want to see vote centers being cast as somehow being incompatible with the idea of paper ballots, because as I see it this is not at all the case.